the fullest and where you can “walk to the dock” right from your front door. Right now you can enjoy glorious backdrop of fall colours, perfect for scenic drives or hiking on the Trans Canada Trail. In winter outdoor adventures await you with snowmobiling, cross-country skiing and ice fishing. Feel the energy in spring from the first spotting of a new robin, to the bloom of the first natural flowers or the re-opening of the farmers markets. 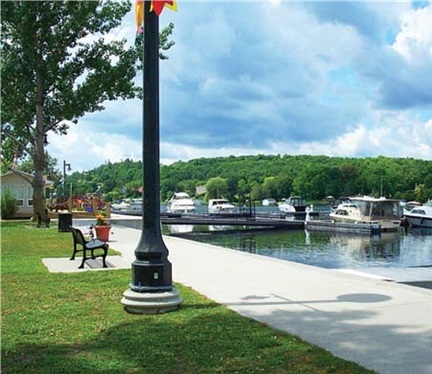 Summer is an abundance of wonderful with cool refreshing lake swims, boating, biking, fishing, agricultural fairs, Canada Day celebrations or just take a quiet stroll down main street. Campbellford just minutes away, Cobourg is just to the south and the easy access to Hwy. 401 and Hwy 7 makes Durham is less than an hour away. 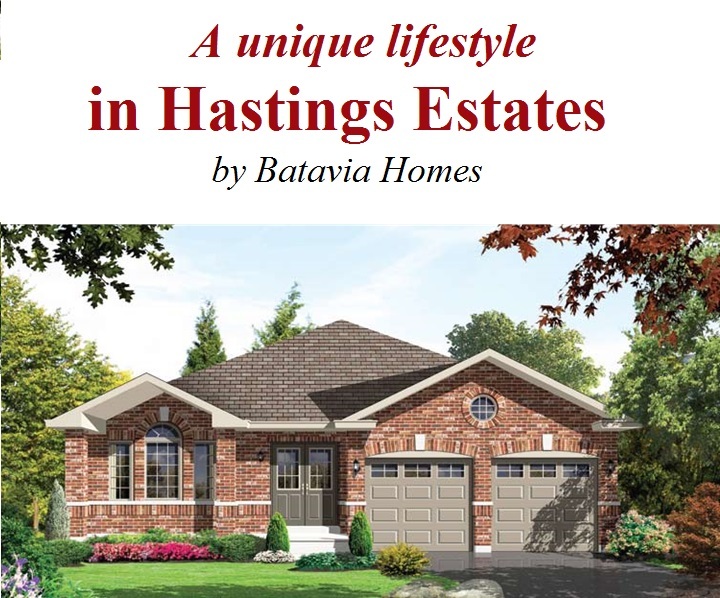 Hastings Estates offers an exciting wide variety of well designed all brick bungalow and two-storey homes on 44- and 50-ft. lots with many conservation and walk out basement lots available. The community is on full municipal services including natural gas, access to cable and high speed Internet. 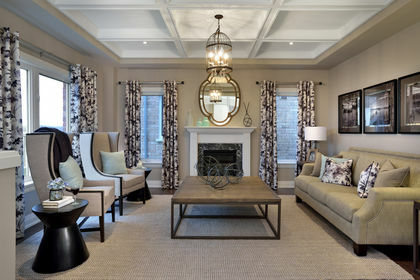 Home sizes range in size from 945 to 2,410 sq. ft. and are now selling from the outstanding price of $199,990. With a down payment of only $15,000 and low monthly payments of $975 – P&I included – you can easily see why this a great investment and very affordable. 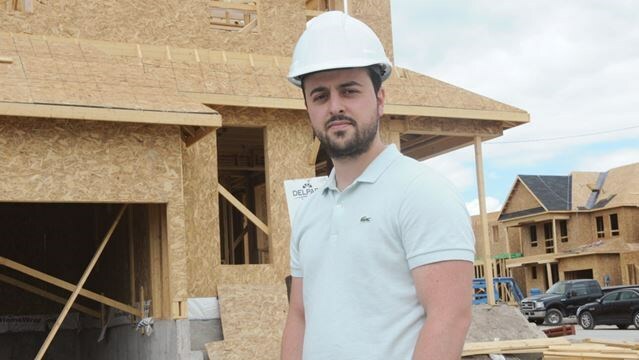 There are many options to choose from in these well featured open concept homes with a bonus to qualified purchasers of $5,000 in upgrades from the builders large range of samples or an appliance package (three stainless steel kitchen appliances and a white washer and dryer) or $5,000 towards your own boat slip. Inventory homes with immediate closings are available or you can customize your home plan and move in this spring or early summer. 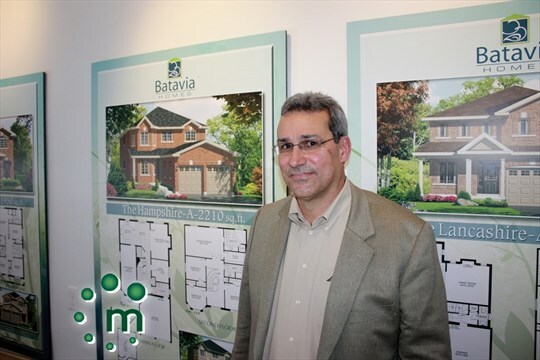 Batavia Homes is all about building a well built home and understanding this is primary to creating a neighbourhood that meets the needs of today’s homeowners. 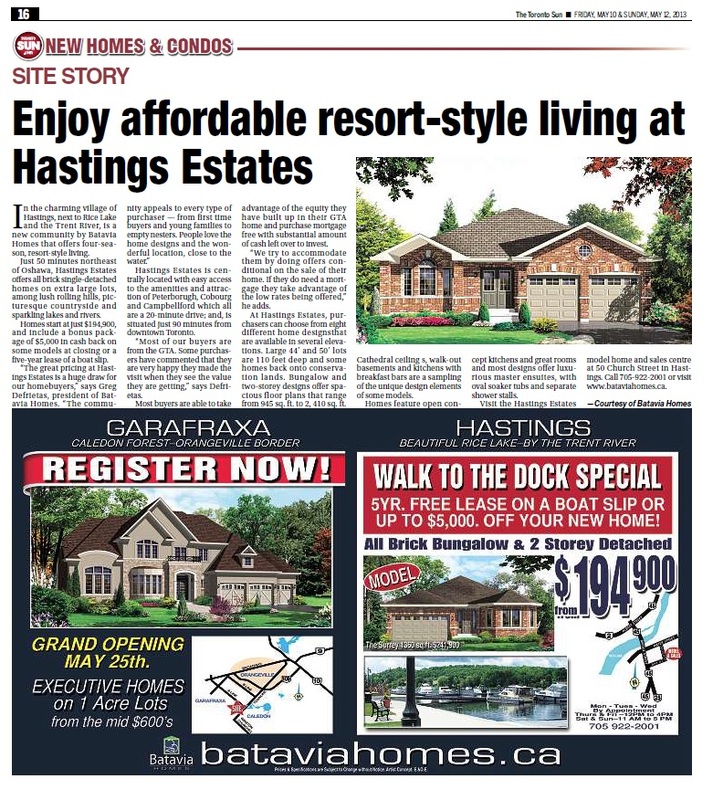 This master builder is offering new homebuyers an exceptional opportunity for affordable luxury in Hasting’s Estates in Hastings.